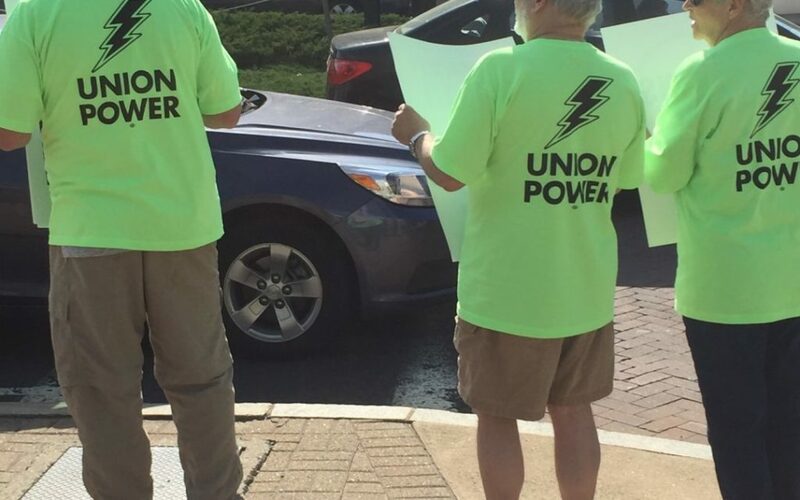 Barr’s election to head one of the largest public-sector unions in Connecticut was challenged by AFSCME Local 749 President Charles “Chuck” Della Rocco, a Supreme Court police officer who was beaten handily by Barr in the May election. “As some of you may have heard, based on Brother Chuck Della Rocco’s challenge, The Department of Labor determined that there will be a new election for the Council 4 Executive Board,” Raccuia wrote in an October 24 email. The basis of the challenge is not yet known, but the executive director election faced several challenges concerning the eligibility of candidates. The new election, which will be held before April 30, 2019, could mean a short stint for Barr as AFSCME’s chief officer. Long-time AFSCME Director of Collective Bargaining and Organizing Kevin Murphy was originally slated for the role as executive director until he was deemed ineligible to run because of a dues problem. Barr was selected as a last-minute stand-in to run against Della Rocco for executive director. Murphy fixed the dues problem and will likely be eligible to run for the position. Murphy worked for many years with former Council 4 director Sal Luciano, who is taking over as interim head of the Connecticut AFL-CIO as Lori Pelletier moves to a new job in Washington D.C.
Barr’s election was upheld by AFSCME International, but Della Rocco took the case to the U.S. Department of Labor. The DOL has, thus far, not confirmed the decision as it is an internal union matter, but Council 4 emails say the DOL is forcing a second election. “As a result, Chuck DellaRocco challenged the whole process by going to the U.S. Department of Labor,” Otunba-Payne wrote, calling the Council 4 election a “sordid affair.” Otunba-Payne is also an AFSCME Council 4 delegate. Della Rocco had also faced challenges to his eligibility during the election for executive director and has a mixed history dating back to his time as a police officer in Old Saybrook, and forgery and larceny charges in 2009 related to the sale of a vehicle. Della Rocco was granted accelerated rehabilitation by the court. Della Rocco is President of AFSCME Local 749, which represents judicial employees and has 1,500 members.